Based on the latest scholarship but presented in accessible language, Neo-Confucianism: A Philosophical Introduction is organized around themes that are central in Neo-Confucian philosophy, including the structure of the cosmos, human nature, ways of knowing, personal cultivation, and approaches to governance. The authors thus accomplish two things at once: they present the Neo-Confucians in their own, distinctive terms; and they enable contemporary readers to grasp what is at stake in the great Neo-Confucian debates. This novel structure gives both students and scholars in philosophy, religion, history, and cultural studies a new window into one of the world's most important philosophical traditions. "A lucid, accessible, and highly readable introduction to the world of Neo-Confucian philosophy. 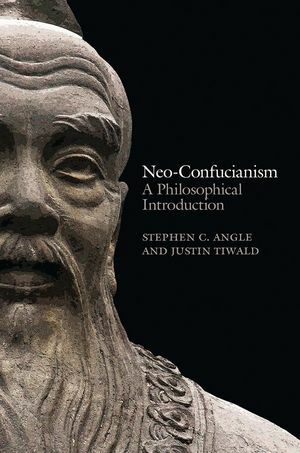 The authors succeed admirably in unpacking what the Neo-Confucian thinkers meant and not just surveying what they said, and in doing so Angle and Tiwald encourage the reader to engage with Neo-Confucian ideas." "This landmark work on Neo-Confucianism provides a tremendously helpful survey of the conceptual terrain that the thinkers in this tradition negotiated in their different ways and brings many more important thinkers onto the scene in dialogue with better-known figures such as the Cheng brothers, Zhu Xi and Wang Yangming."